Here is a sad tale of a culture that thought it was the most advanced, enlightened culture ever – but wasn’t. The author takes a concrete look at our lifestyle, our values, our spirituality, and our beliefs and shows us that we are not where we think we are. Wouldn’t you like to be able to see your life clearly, without clouds of dust blocking your view? This book provides a new perspective that will allow people to re-evaluate their lives and re-think everything they think they know. Ignorance is easy, but our responsibility is to seek wisdom. For all those who feel disconnected, who wonder about the meaning of life, or who feel like there must be something more, this panoramic view of our culture will provide some interesting answers and a whole new way to see the big picture. Many people examine one aspect of our society and find fault – our politics, our educational system, or our treatment of mental diseases (for example) – but no other book looks at the whole and shows how everything works together. "5.0 out of 5 stars Insightful and very spiritual reading, December 5, 2010"
"When you investigate the reasons why we do the things we do, life often becomes much clearer. 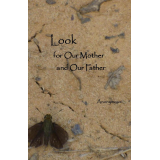 'Look for Our Mother and Our Father' is a spiritual guide that encourages Americans to look into their own way of life and look at it from the outside and remember what truly binds us and makes us all human. 'Look for Our Mother and Our Father' is insightful and very spiritual reading, and very highly recommended."